I just wanted you to know that I really like your style, probably because it is a lot like my style. I have always said that I like the rough & the refined. One of my favorite designers has always been Ralph Lauren, in fact, many years ago I used some of his ideas to decorate a baby nursery. I always enjoy looking at your blog & home. Keep up the great work! Your home is beautiful. You have great taste. I look forward to following your blog. What a lovely home you have created. So inviting too. I saw your dining chairs on Savy Southern and find the whole room enchanting. What color are your draperies? They appear a bit in a purpley grey shade as do the shutters but I know camera settings can alter color. Also love the early American/Federal feel in the guest room. I will enjoy following your blog. Hi Suzi – Thank you so much! My draperies are a bit of a funky color, but I’d say that they are blue/gray, as are the shutters, but that the curtains are darker than the shutters. They have a sheen to them, though, so the color changes a bit throughout the day as the light hits them, which makes them appear brighter. Here’s a link to where I purchased them, which shows what they look like at their darkest: http://shrsl.com/?~57je. I hope this helps! Just always searching for more info. I have never been able to find it in any displays or stores. Thanks! Love it! I can’t remember the name of the granite, but I think I have it written down somewhere… If/when I find it, I’ll let you know! It may be Venetian Gold granite. That sounds vaguely familiar….I think you might be right!!! Thank you! Just came across your blog….Love it! I have fallen in love with your BEAUTIFUL home. Your sense of style and décor is beyond what most decorators would think to do….I look forward to following you and see what you do next! Thanks for sharing ! Whenever I am looking to decorate or redecorate a room I look to Pinterest like everyone else but I mostly look to your blog for ideas. I’d also like to thank you for telling me about One Kings Lane! (I’m sure my husband wouldn’t though. LOL) I’ve ordered some amazing things from the site, including the same blue striped table runner you have on your dining room table. :) Keep up the great posts! Love your style! Especially your family room which is similar to our living area in our very open-plan home. We have a lot of stained wood including trim, doors, cabinets & vintage pieces. (none of which I would ever get my husband to paint!) I like to mix things up and have been trying to lighten the look of our home using accessories. Thank you so much, Jo! Your home sounds beautiful and you’re right, accessories can do a lot to change the look of a room! I love your decorating style! We have very similar taste and I got some great inspiration from your home! My kitchen is almost identical to yours–I’m having the worst time choosing a backsplash and yours is fabulous–especially the black glass–just enough to make it pop. Would you be kind enough to share what tile you used? Thanks!! Hi Jenna – Thank you so much! If I remember correctly, my backsplash is travertine subway tile accented by 1″x1″ black marble squares. There is a single row of black that runs horizontally around the kitchen and then above the cooktop, there are individual squares scattered throughout the design. We finished the backsplash and I LOVE how it came out…I ended up using a travertine subway tile in walnut color & then doing a pictureframe of diamond with a pencil outline above the range. What a difference it made in the room. Thanks for the inspiration! Now I’m looking for a piece of furniture to use in my dining room as a buffet or a breakfront…and having the worst time with it. Nothing seems to go well with Restoration Hardware dining sets. I’ve been hawking Craigslist for an old dresser I could chalk paint, but am having second thoughts. I have a bunch of projects I’m currently working on, but would like to finish my dining room before Christmas. Any good suggestions regarding the buffet? I also need to dress a triple window in there. I have a fabulous seamstress but am back and forth on how to dress them (one panel on each end/roman shades in between or a panel between each window), the moulding is thicker than usual between the windows but I don’t think I want to break them up. What would you do? Hi Jenna – Congrats on getting your backsplash project finished! I would love to see a picture if you have one! Who knew…just looing for an idea to use my new Ce Ce Caldweld paint and found you! Love your home and all your wonderful ideas! Also in the process of kitchen facelift and love yours! Have pinned one of your window ideas to use in my kitchen. I’m hooked on Tidbits & twine! Hi Bess! Thank you so much for your kind comments! I’m thrilled that you’re enjoying the site. :) My kitchen is the original 1980’s kitchen with a bit of a facelift, too. I hope you’re enjoying your kitchen redo! Just curious…what are you planning to paint with your chalk paint?? Something for your kitchen or something else entirely? Two vintage three legged side tables that were my mothers. I think she used them in a hallway between over living room and dining room. I going to use them in guest bedroom as night stands. I’m painting them Simple White and plan to stress the edges so that the dark wood will show. Any ideas? I just came across your blog while looking for ideas to give my kitchen a little face-lift. I love the information you posted about finding the right paint color. It’s very helpful. Your home is lovely. May I ask, how/where do you do the bulk of your shopping for your decor? Beautiful. For an amateur designer, your work is beyond professional. I haven’t thoroughly read your entire site and might have missed it in my skimming but if you haven’t ditched marketing and opened up your own business, you should. People get degrees in interior design and still don’t “have it”. You “had it” from birth no doubt. I love the dressed up/dressed down (elegant & rough) aspect you your design. Like many of the others who have made comments, I favor that look and feel myself. Finding this blog (I Googled “how to tie a bow” so I could put a bow on a picture) makes me want to sell my house and start from scratch!! I’ll content myself with the garden design for now. I can’t move furniture around really (I did when I was a kid) because I live in a small, cozy home and I really have no choice with the furniture placement. Thank you for sharing your gift with us. Hi Beth – Thank you so much! Right now, my “business” is the blog and I’m having fun writing articles, updating my own home, and meeting wonderful people such as yourself who share my love of decorating. I really appreciate your visiting my site and taking the time to leave a comment! Hi there! Would you be willing to share the color of your kitchen cabinets? I have dark brown and golden brown tones in my granite and I’m really wanting to lighten up the space with white cabinets and I just love the shade you used. Looking forward to hearing back from you. Your home is so beautiful! Hi Bailey – Thank you so much! The cabinets are a custom color from Kelly-Moore. I’m attaching a photo of the label that contains the formula to this reply. I’ve never tried including an image here before, though, so if it doesn’t show up please let me know! I just found your blog through Pinterest and I must tell you how much I love your beautiful home! I’m in the beginning stages with most of our decorating and trying to gather idea on giving our rooms more character and I love what you’ve done! Do you know what color you used on the walls in your guest room? If love to do something similar in our living room. Thanks so much! Hi Elise – Thank you so much! My guest bedroom walls are Sherwin Williams Nomadic Desert SW6107. I really like how it turned out in the guest room because it has a very rich coloring without being too dark. I hope it works out for you, too! Good luck with your upcoming projects! That is exactly what I’m looking for…rich in color but not too dark. The color I have in there now is just a little too dark for the space and I need something to brighten it up but I still want it to be in the same color family. I will give it a try! Good luck and please let me know how your project turns out! Love your style and your story, similar to my own. Just signed up to receive your posts. Can’t wait to see how you decorate for the holidays. Your home is absolutely beautiful. I just love your style and how you mix and match everything and it all blends beautifully. May I ask where you got your coffee table (I saw it in another post somewhere) and your dining table. I’m currently searching for a coffee table and just can’t find what I’m looking for and just love yours. Hi Susan! Thank you so much! I bought my family room coffee table about 12 years ago at CostPlus. They carry one now that is similar to mine: http://www.worldmarket.com/product/hako+coffee+table.do?&from=fn My dining table, on the other hand, is a mystery! I bought it 15 years ago at a consignment shop and even then, it was supposedly almost 100 years old. All I can tell you about it is that it’s a trestle table from Mexico. Hi – Believe it or not, I found it at HomeGoods a few years ago. At the time, I didn’t even know where I was going to put it but I loved it so much I bought it and knew I’d find a place for it. I haven’t seen anything similar except for the one at Restoration Hardware but it’s way out of my budget, too. Good luck in your search! I love everything about your home! I saw your white stair railing and can’t seem to find anything like it. could you tell me how I can make something similar at my home? Your sense of style and design is beautiful! I just found you on Pinterest. I’m so glad I did! I recently bought similar dining chairs as yours at world market (plain linen no lettering). Do you think there’s a way to put stenciled numbers on them like yours? Hi Lily! I’m so glad you found me on Pinterest and stopped by for a visit! Thank you! Kim, I recently came across your blog when I was looking for ideas on painting a secretary desk. LOVED the black desk you repainted. I really enjoy reading your blog. You have great ideas and a fabulous sense of style. I’m just getting started with my own blog and it’s inspiring to see other women like you who are doing the same thing and are just as passionate about interior design. I just came over from Savvy Southern Style. Your home is beautifully decorated. I just subscribed and now I’m off to explore your blog some more. Would you share your paint colors for the walls in your living room, dining room and kitchen? When I saw the hanging parsley box I knew we were kindred spirits in the nesting world… I have this set and love it! Love your style. 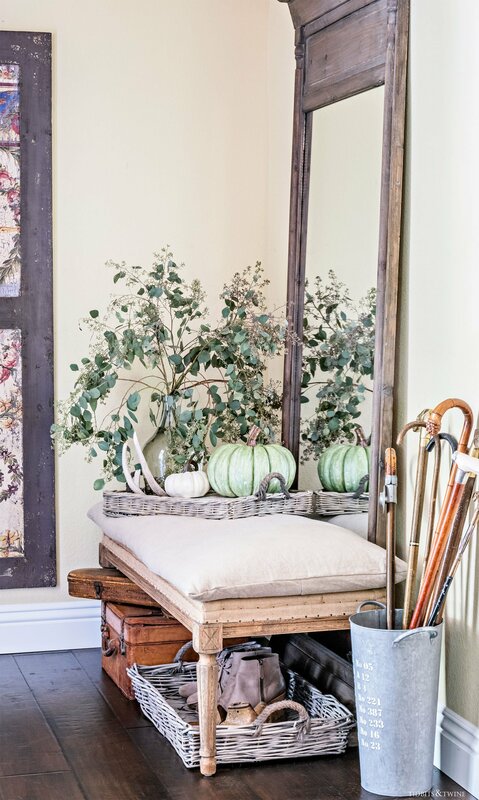 And I love the herb crates…what do you store in yours?? Hello! 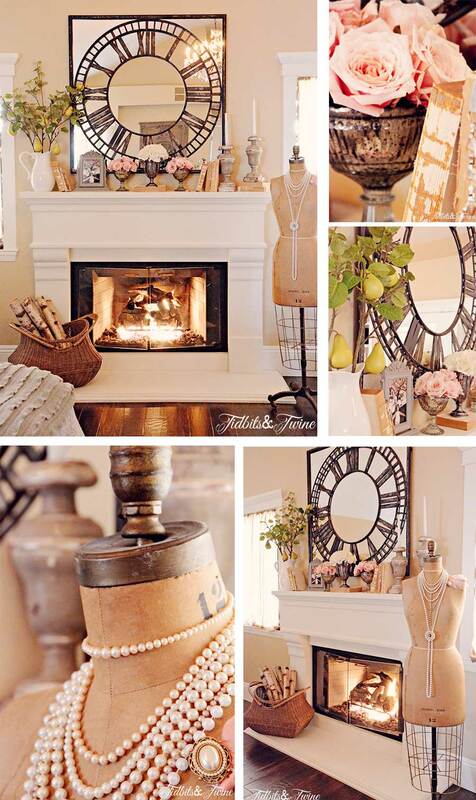 I absolutley love how you have decorated your home…its both elegant and cozy. I found your blog through pinterest. I have been trying to shop around for silk taffeta curtains and noticed how well yours blend in with all your romos. I was wondering if you would share info on where I may purchase some for my home as well. Thank You! Good luck and happy shopping! I hope you find something you love! 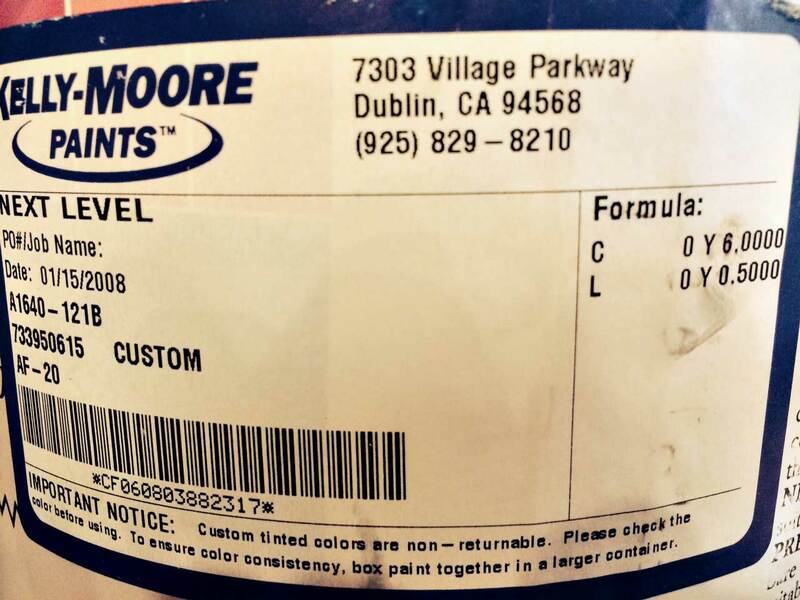 Thanks so much for the details regarding paint colors. I will soon be moving back to a house that we rented…funny but hubby has more of an emotional attachment to it that I do. But, I am dreaming of it in the colors and style similar to yours! I have plants and my French Press and coffees in my herb crates and am already thinking about where I will hang them when I move back into my former house. Your home is beautiful and your style is fabulous. I love the eccentric combinations – to me it looks timeless and organic. I did laugh when you talked about taking a long time to make decisions. I can do it for clients but my own home takes forever. And thanks for pointing out that things are constantly evolving and changing. Rooms are never done, they are just “complete right now” and subject to changing again at a moment’s notice. I found you through Pinterest, which I don’t look at often, but am encouraged to find your projects and may visit more often. Beautiful home! Definitely cozy and elegant! Creative idea on the numbered chairs and I liked how you had the great wreaths throughout your home; added a cute consistency. Thank you for welcoming me into your home!! I have been following you for awhile and just love you style. I love how it’s all mix and match but you pull it all together. Would you mind sharing where you got your dining room table? Thank you! Hi Susan – Thank you so much for your kind words! My dining table is actually an antique that my husband and I picked up at a consignment store about 15 years ago. It was part of a set that included the chairs, but eventually, my style changed and I no longer wanted the chairs so I sold them but kept the table. 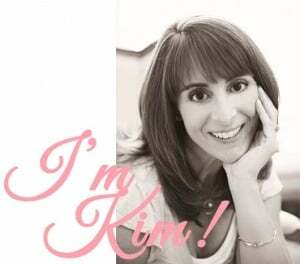 Kim, thanks for getting back to me. Your dining table is beautiful and one of a kind! 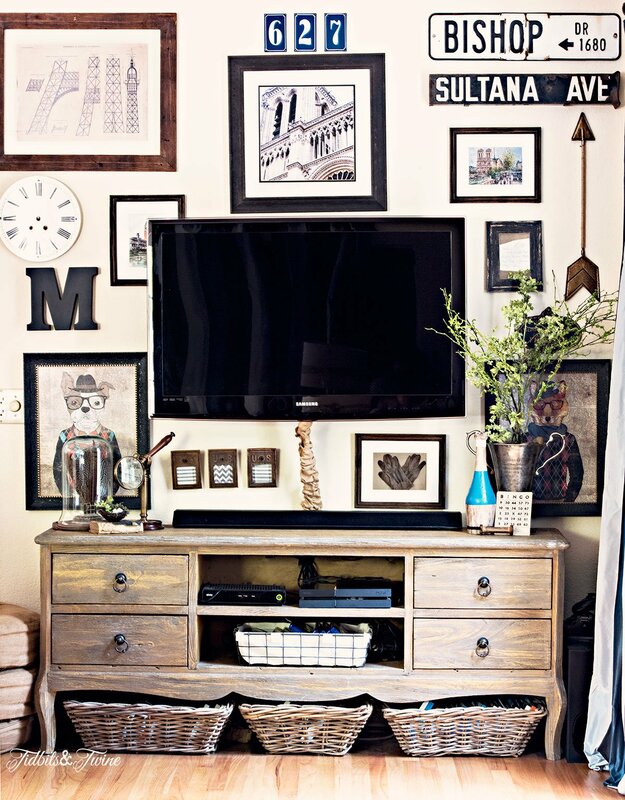 I love the photos of your home, so lovely! I especially like your dining room light fixture, did you make it? 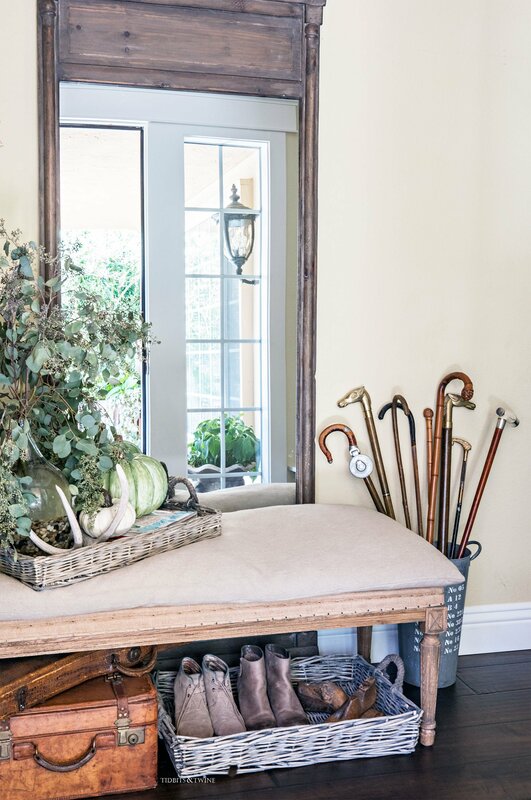 Absolutely love your home and your style. You are so talented. I started my blog before I retired….and probably should have waited…my husband’s health has taken priority but hopefully he will be great soon. I love your kitchen and cannot wait until I get my new kitchen!! You are so inspiring, I will be following your blog for sure! Thank you for sharing your world with us. Love, love, love your home. Just getting started in mine and now I have some good ideas thanks to you! I recently got a beautiful table and was thinking of the round back restoration hardware chairs that you have for the sides of the table with some odd ones as host chairs. If you don’t mind my asking, what finish are your chairs from restoration hardware? Are they the weathered oak drifted finish? Where did you get the mirror clock that is above the fireplace? I love it!!! Such a beautiful home! Hi Courtney – Thank you so much! I bought it years ago from HomeGoods and I’ve never come across anything like it again. I wish I had a better answer! Sorry! 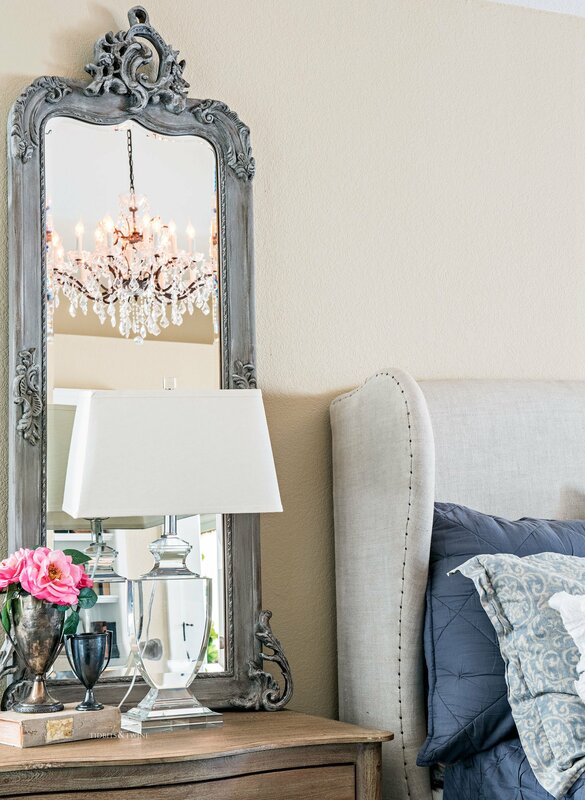 Where can I purchase the mirror with the clock on it from the master bedroom? OH MY!! ABSOULTLY BEAUTIFUL!! I am so glad I found your website & sure wish I had your talent. Thank You for sharing!! Wow! Thank you so much for sharing your style and ideas. It feels deliciously familiar and even on my first visit to your website I found some fabulous and simple ideas to improve some of my most loved spaces. You will be on my most popular websites visited list! Amazing! Some serious eye candy. You inspired me with a bunch of new ideas. thank you! I am absolutely in LOVE with your dining room chairs. Where did you buy them? I am looking for a wow factor for my mantel shelf in my den. I was wondering where I could find a mirror like the one on your mantel in the bedroom. I simply love your home style! 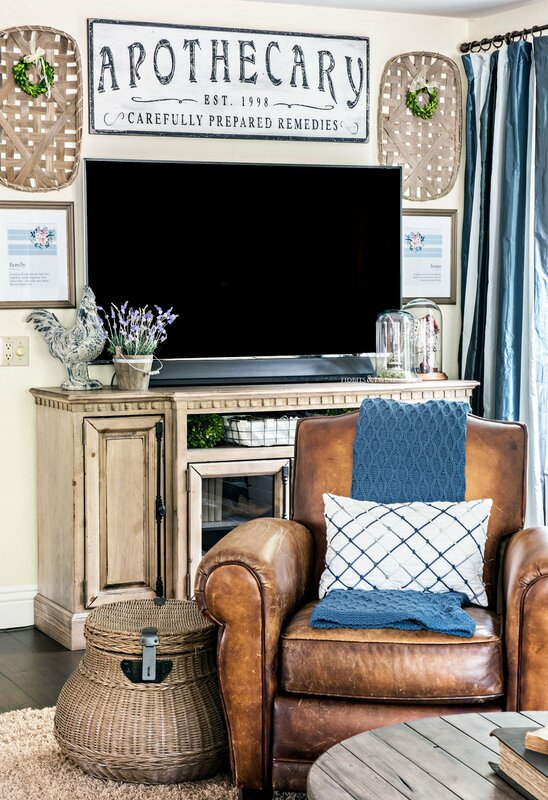 It has a bit of a rustic vibe, but not overdoing it…It’s perfect! Beautiful furnishings and decor in your home. I especially like your dining room with the french country dining table and chairs. Thanks for posting! Thank you for sharing your beautiful home. I have a few threads of the same taste in my home. I have the wooden boxes. Two are in the laundry room with dryer sheets and rags. The smaller ones are screwed into the wall by the bathroom sinks with soap. I love the dark blue in your decorating. I have Hale Navy on my front and back doors. Your pictures will inspire me to change and add a little change and love into my decorating periodically.